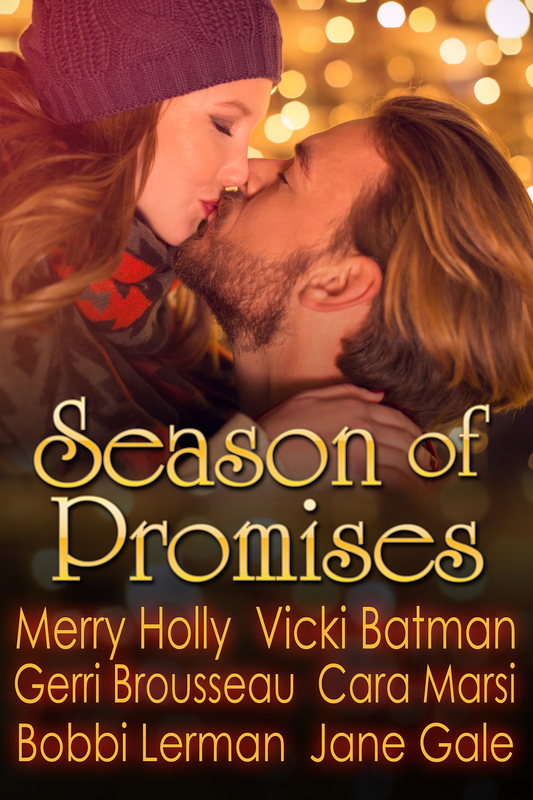 I’m very excited to announce that this year’s Season Of Holiday Box Set, Season of Promises, is now available for preorder. It’s a season of holiday wishes and promises made. 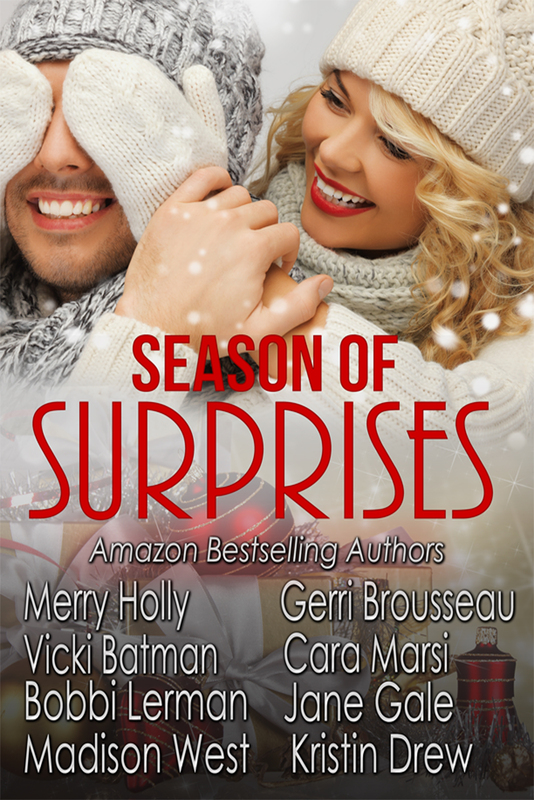 Six fun filled stories to fill your holiday with promise, love and kisses by award winning and bestselling authors. Suzette has a firm policy of no dating within the company, but Dirk is impossible to resist. Then she discovers the truth. Has she fallen for a corporate spy? 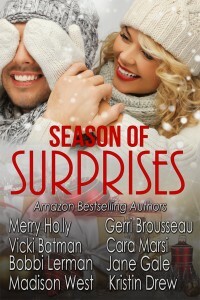 Or has Christmas given them a most delicious, unexpected holiday bonus? The Littlest Angel by Vicki Batman Two people. One ornament for the tree. 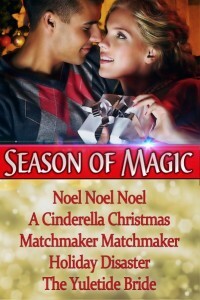 Can the twosome find common ground and discover the true meaning of Christmas? 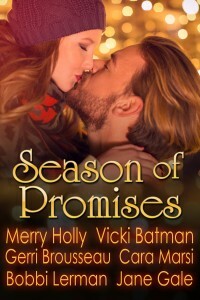 Courage overcomes a scandalous past and leads to love and A Promise of Forever. In Sin City, a couple, unlucky in love, gamble on each other. Win or lose? Legendary matchmaker, Tillie has one last heart to mend before retiring, but Miriam & Mike may be her hardest match ever. Can she summon the magic one last time to bring the enchantment of love long given up back to life. 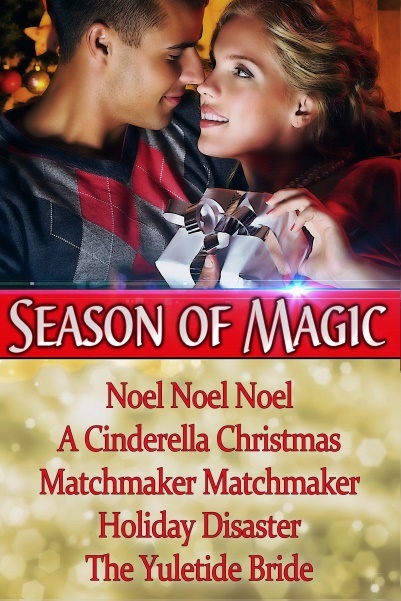 Seasons Of Magic, By Merry Holly. 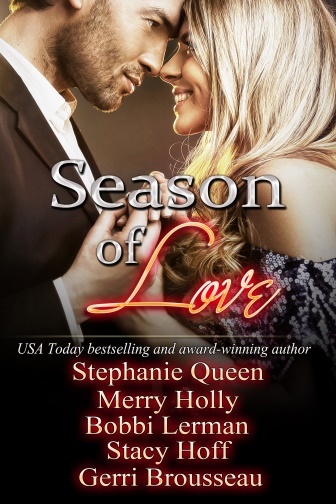 Season Of Love, By Merry Holly. This entry was posted in General and tagged Bobbi Lerman, Cara Marsi, Chanukah, Christmas, Gerri Brousseau, Holiday Box Sets, Holidays, Jane Gale, Love, Marian Lanouette, marriage, Merry Holly, Romance, Season of Series, Sweetheart, Vicki Batman. Bookmark the permalink.